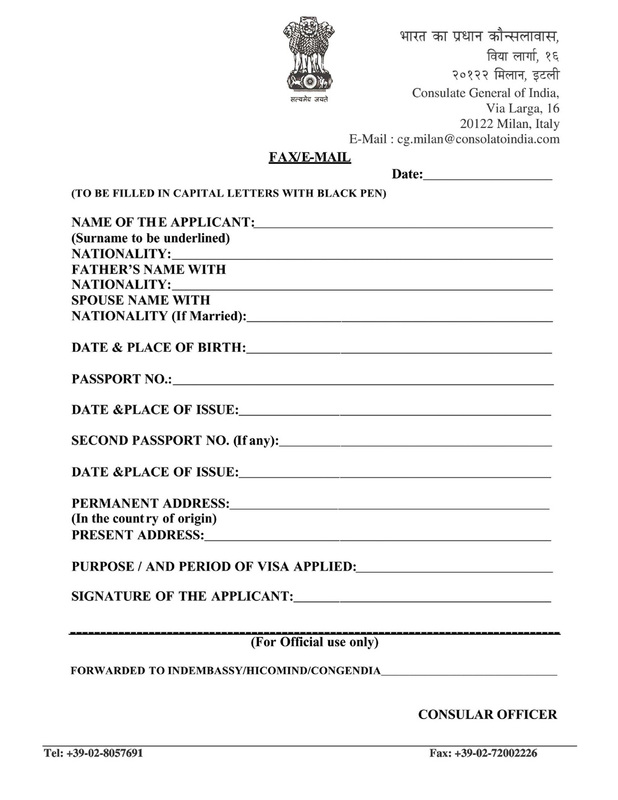 Italian translation of "Online application form" may be seen here. No hand written application form will be accepted. Applications have to be filled online and applicant has to upload his/her photograph. After filling and submitting the application online, a printout of the application has to be taken which has to be signed by the applicant. The photograph should be of size 5cms x 5cms and have white background. It has to be pasted on the printed and signed application form and then submitted at the Visa counter in the Consulate General of India in Milan along with necessary documents. The maximum dimensions are 1000 pixels (width) x 1000 pixels (height).